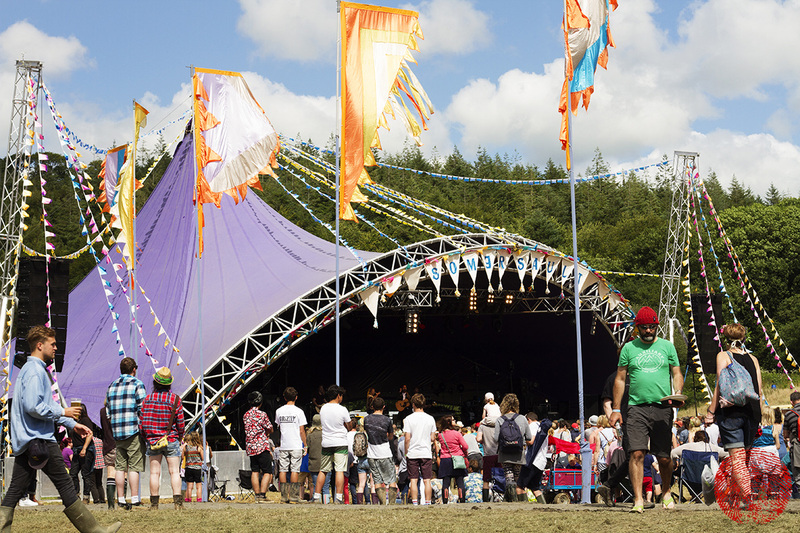 It would be fair to declare this year’s Somersault Festival, which took place this past weekend, a “Sunshine Sandwich” as the fledgling festival (now in its second year) enjoyed a Saturday of glorious British summer weather bookended on the Friday and Sunday by torrential downpours. 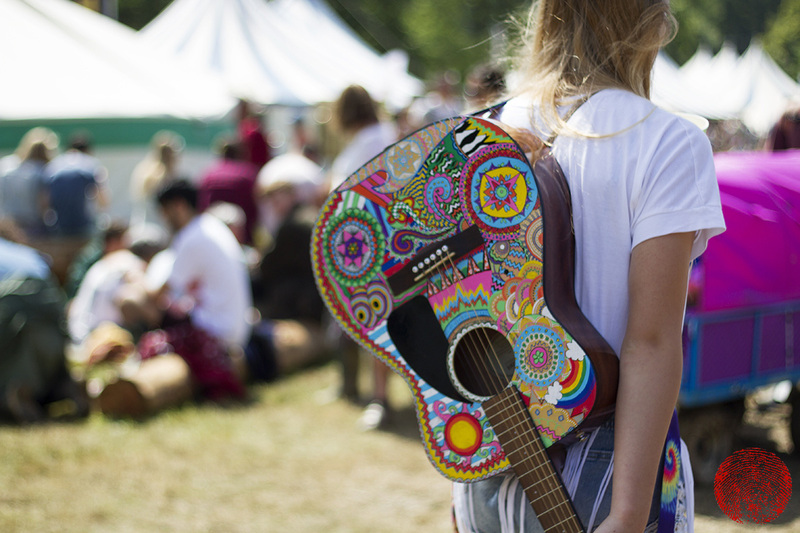 Boy, did it rain, but in true Brit-festival style though the audience simply pulled on wellington boots and ponchos and kept on dancing whenever the raindrops started to fall (sometimes sideways), causing steam to rise from the crowds in front of the main stage and the entire site to become a gigantic mud-pit. 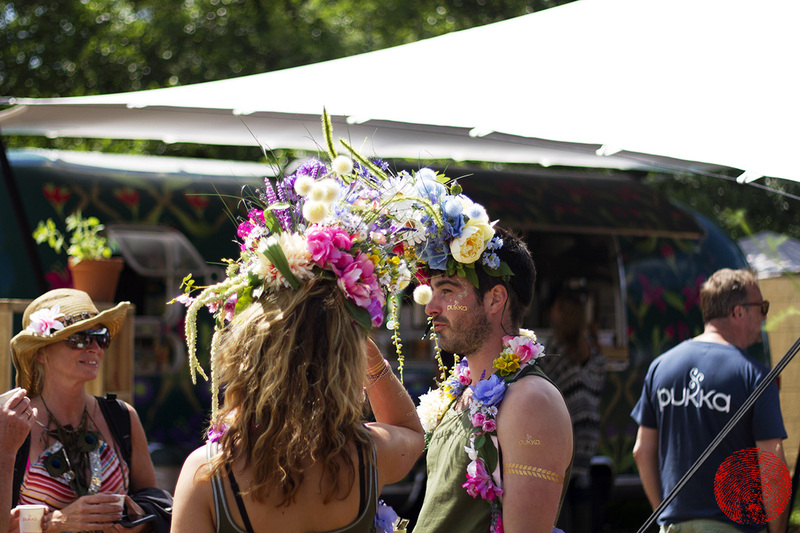 It wouldn’t be a music festival without some outrageous flower garlands. A view of the “southern” arena, on the western bank of the River Bray at Castle Hill Estate in North Devon. 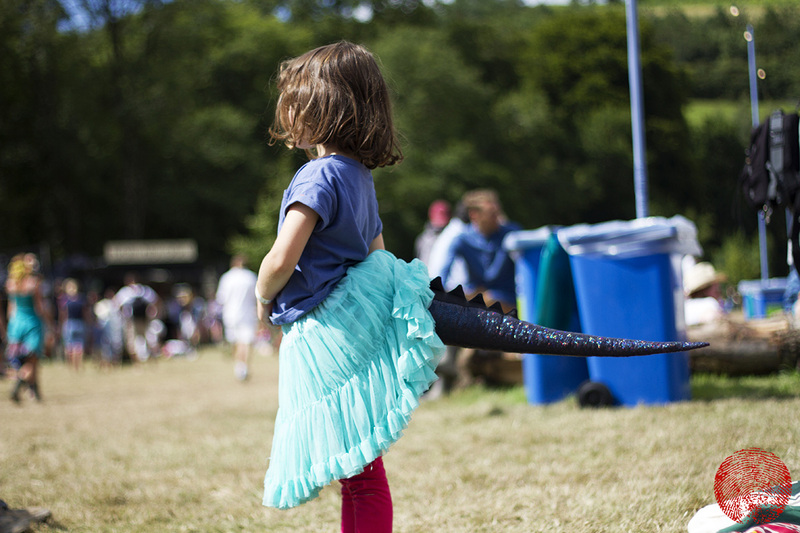 Somersault is fantastically family friendly, and there were heaps of little monsters dancing around. 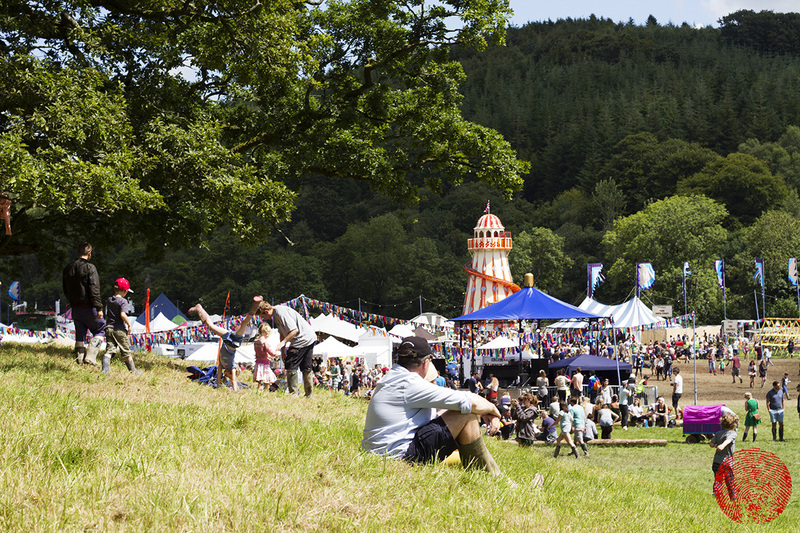 Somersault’s main stage on the sunny Saturday. After the rain there were two footwear options available: wellies, or nothing at all. 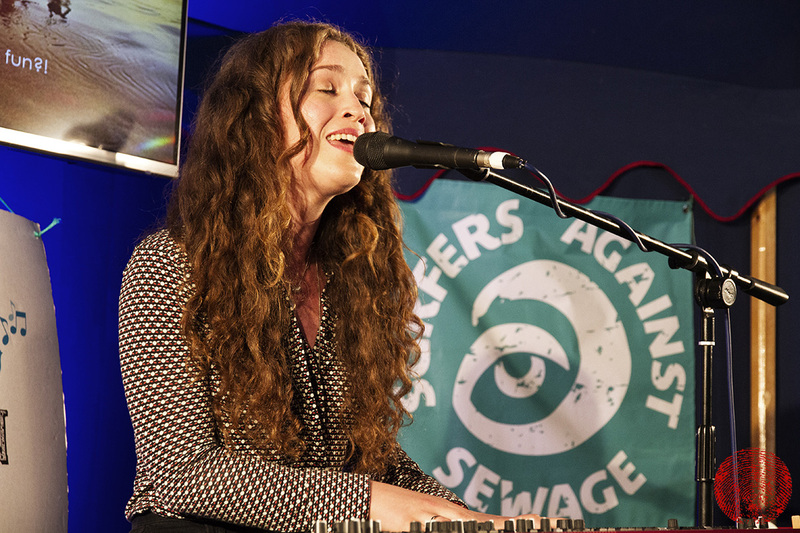 Rae Morris performing an exclusive gig in the SAS tent. 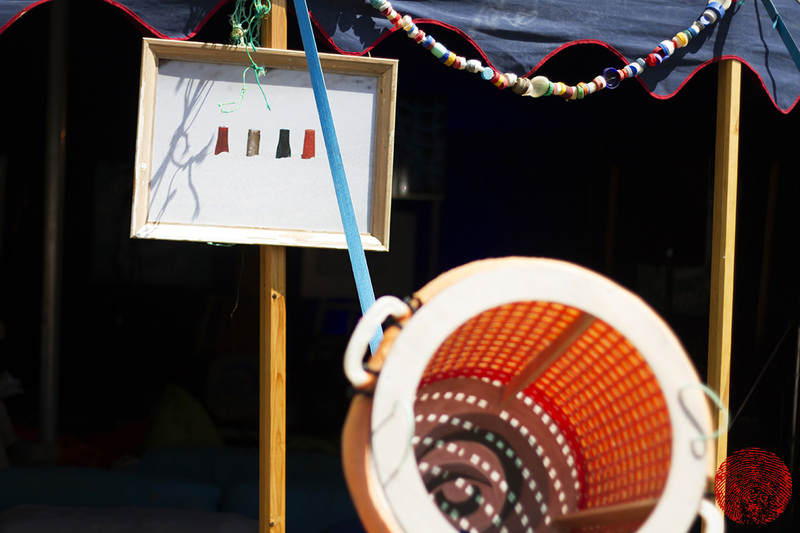 My “Colour Wheel” image on display outside the SAS tent. 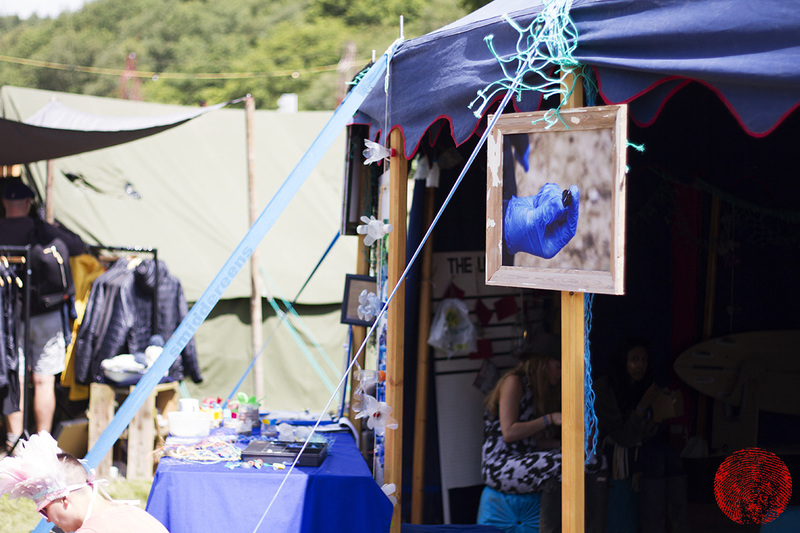 “The Problem In A Nutshell” offering a bit of blue on the outside of the blue SAS tent. My “Firing Squad” photograph showing a line-up of shotgun cartridges found on a Cornish beach, which probably originated on the east coast of Canada during their water-fowl hunting season. 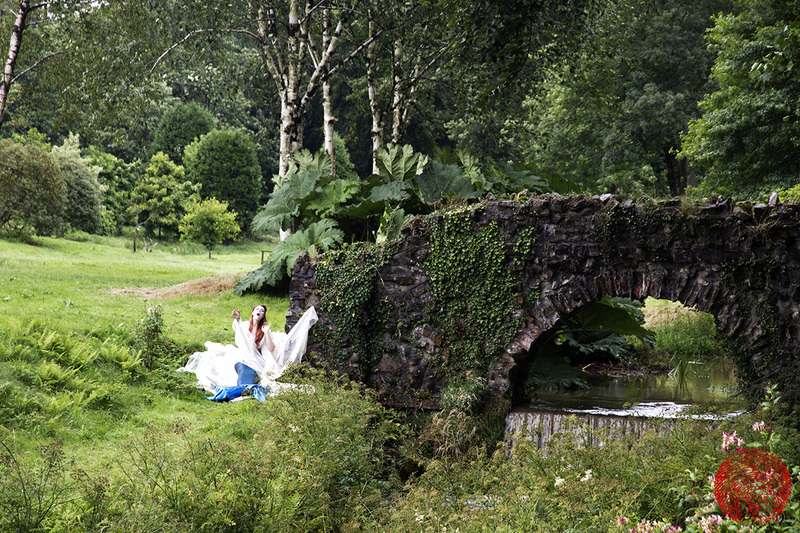 Rogue Theatre brought their incredible woodland show to the gardens of the Castle Hill Estate. 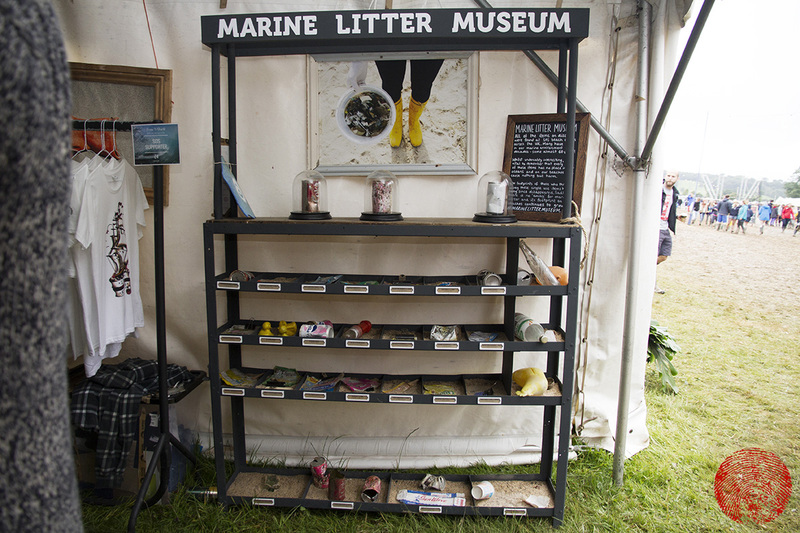 Surfers Against Sewage’s Marine Litter Museum (with an image of mine hanging above it) shows the age of some items found on beaches, demonstrating how litter persists in the marine environment for decades. 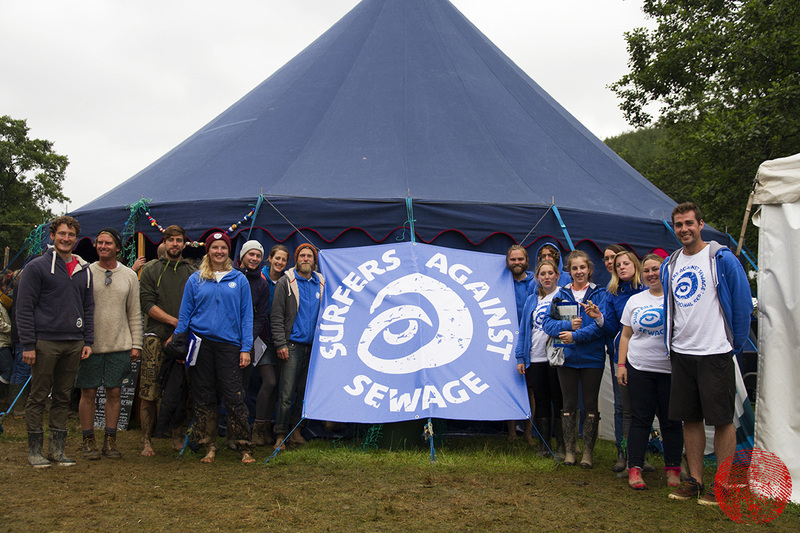 The wonderful team of SAS regional representatives and lead volunteers (flanked by Campaigns Officer Dom on the left and Reps & Volunteer Co-ordinator Jack on the right) who worked tirelessly all weekend in some awful weather to share the charity’s message and engage festival-goers with their campaigns. Thanks so much for having me along guys. 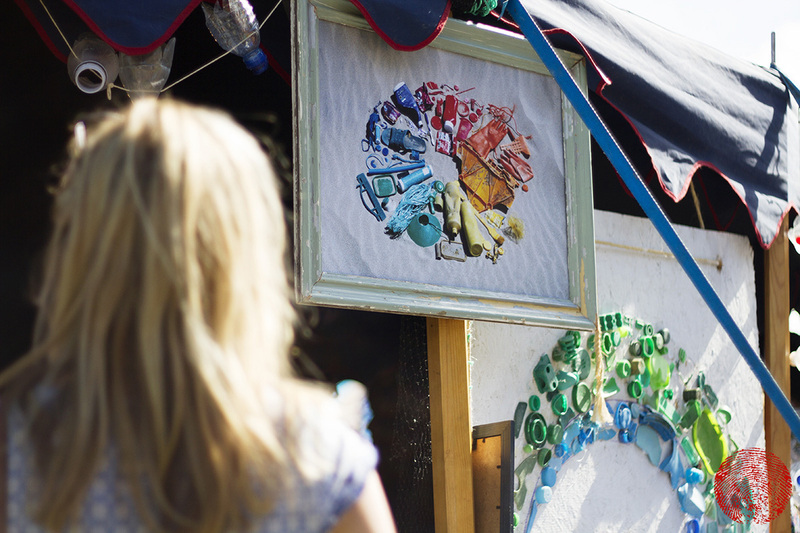 Please check out the wonderful work that they do and give them your support here.